Initial production of 100,000 ounces of gold over five years at open pit grades of up to 6.8 g/t. An Indicated and Inferred Resource of 6.19mt at 2.2g/t for 444,000oz Au. Compelling high grade exploration targets, plus more outcroppings of high grade gold zones not yet in resource, adding extra spice to the equation. And a $3M market cap??? A Definitive Feasibility Study is set for completion in June 2015, with production to follow not long after. US$1M in financing has been locked in to cover this DFS with an additional US$4.5M expected for development with a strategic partner. Once cash flow kicks in via the low cost start up mine, this tiny company can then fund further exploration of the various high grade zones within the Project. This is exactly how the gold producer Medusa Mining got started – who a few years back were valued at around $1BN. RMX’s flagship project is called The Batangas Gold Project and it’s situated on the tip of the main island of the Philippines – Luzon – about 120km south of the capital Manila. The Lobo area on the left features 82,000 oz. 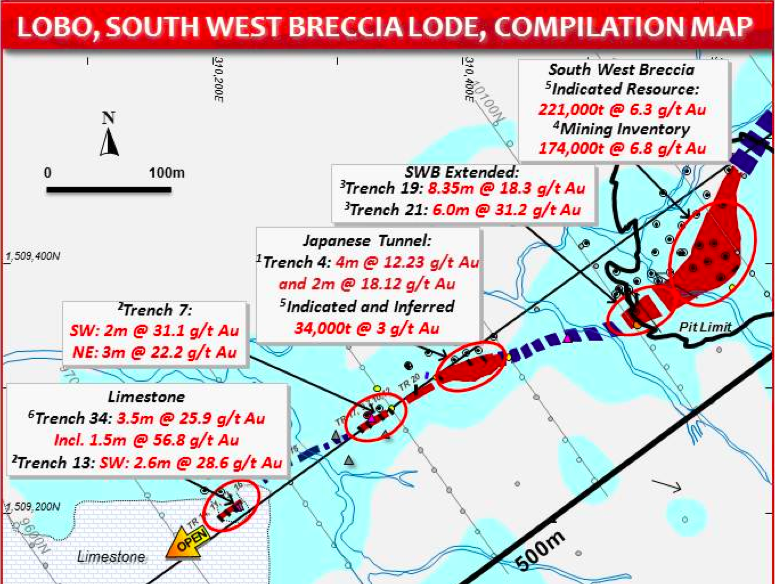 indicated and inferred (604,000 tonnes @ 4.2 g/t) – this includes the South West Breccia (SWB) Mine, average open pit mining grade 6.8 g/t, and will be RMX’s first start up mine. The Lobo MPSA is also dotted with outcroppings of high grade gold, including recent trench intersections to 3.5m @ 25.9 g/t, which provide further exploration upside. 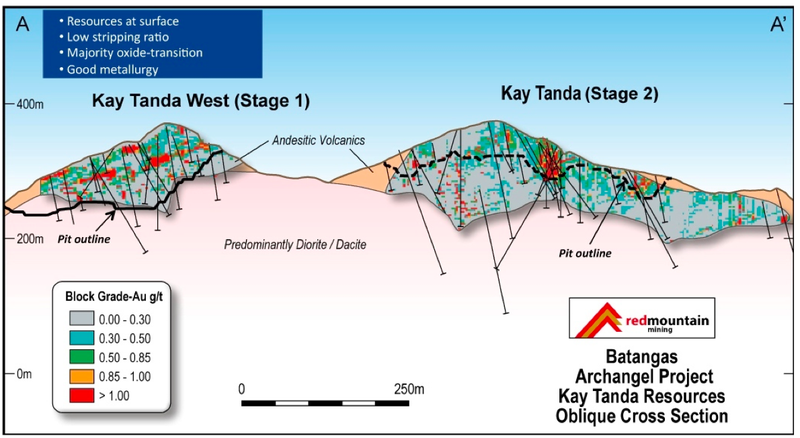 Over to the right of the map, within the Archangel area, sits the Kay Tanda planned mine area – gold is planned to be produced from there from Year 3 of the Project – it currently holds 363,000 oz. 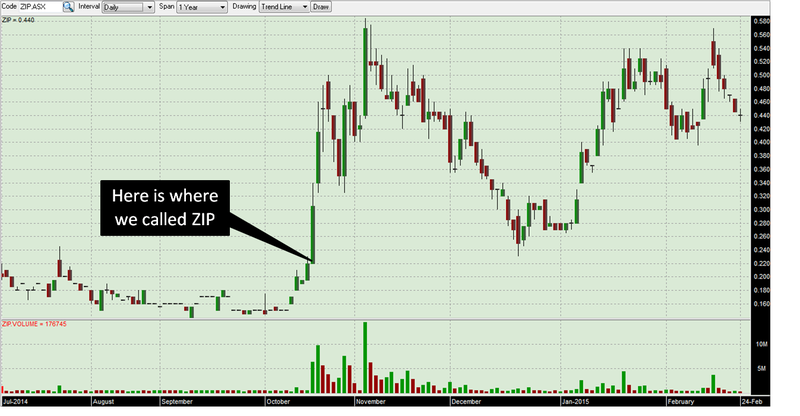 (5,586,000 @ 2.0 g/t). RMX’s plan is to mine 100,000oz of high grade gold over the initial five years at Batangas and use the cash flow to fund expansion and exploration. Free cash flow from production of the first 100,000 ounces at the Project level is expected to be $45M – recently getting a boost by 50% due to increases in the Australian dollar gold price and a drop in the fuel price in the Philippines. Capex is low at $15M – set out in a completed Scoping Study and Feasibility Study update – which set operating costs at US$703 an ounce. The project is close to major industrial hubs and surrounded by high quality infrastructure. Most of the permitting is done and local support has been secured with 10 out of 10 local councils voting to allow the mine to go ahead. 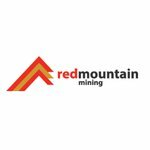 RMX is accelerating fast right now toward finishing its DFS – the company has received commitment for US$1M in strategic funding from Bluebird Merchant Ventures Ltd to complete this, with an additional US$4.5M expected to come following completion of feasibility and permitting, for further development. That will result in a 50:50 joint venture being formed to develop the project. The team at RMX includes experienced discoverers and mine builders, both at board level and in country. This company has ticked many boxes, yet is currently sitting with just a $3M market cap. In this article, The Next Small Cap is going to run you through all the rhyme and reason behind RMX’s plans to make money from high-grade gold – and we’ll also peer into the blue beyond to see the potential Batangas has for further large gold discoveries. Regular readers of our sites will be familiar with our long-standing interest in high potential tech stocks. The project is situated on the southern end of the nation’s main island of Luzon. The capital of Manila is 120km to the north, while the major manufacturing and infrastructure hub of Batangas is just 20km away from RMX’s tenement gate. At Batangas, RMX has already established resources totalling 444,000oz of gold split between Lobo (82,000oz) and Archangel (363,000oz). At Lobo you find the shallow, high-grade gold that RMX wants to develop for quick cash flow, and at Archangel there’s high-grade gold at depth that will be developed later. Even if nothing more is found, the fact that RMX’s market cap is currently just $3M and they are about to bring a low cost, high grade gold mine into production got us very interested. The above chart shows the financials from the first phase of the Definitive Feasibility Study, for initial production of 100,000 ounces of gold an initial five-year period. With operating costs estimated at US$703 an ounce, RMX reckons on operating cash flow of $67M AUD and free cash flow of $45M AUD (50% to RMX) over an initial 5.2 year period of a projected 10 year project – with potentially much more to come as it explores for more resources. Almost all the elements needed to bring that cash in the door are in place – indicated and inferred resources, permits are almost finalised, with financing for the DFS confirmed. RMX estimates capex for the Batangas project to be US$15M – a figure confirmed by its completed Scoping Study . The company is currently in talks for debt financing of the remaining ~US$10M. 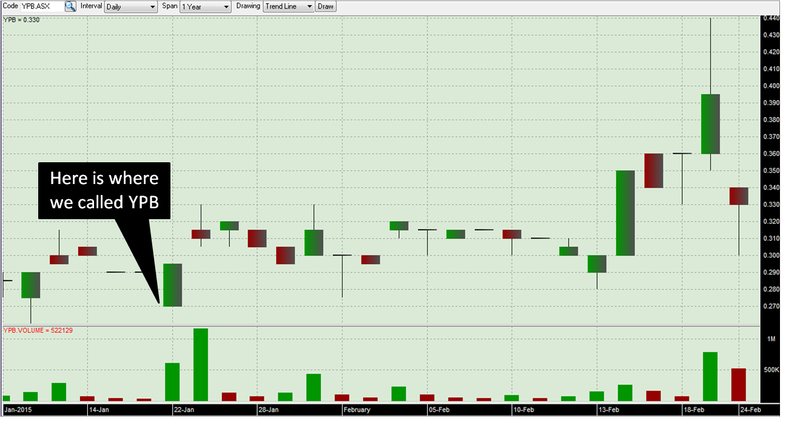 With the projected cash flow from gold sales, RMX should pay back the $15M capex in less than 18 months. RMX sees an initial opportunity to get cash flowing quickly by mining the exceptional surface grades and potentially toll processing in south east China for initial cash flow. Then, as the cash begins to come in, the next step up for RMX will be to establish a processing plant on site, and RMX wants to build a modular unit near the mine. Those initial production ounces will be taken from RMX’s high grade South West Breccia open pit, and as that generates quick cash flow, the Kay Tanda mine will be tackled. Breaking the $15M capex up, $5M will go toward things like a tailings storage dam, roads and infrastructure. All of this is quite cheap because the immediate area is well accessed as there has been some previous mining, and an industry that’s well developed to support modern industrial projects. This capex will partly come from the strategic funding agreement RMX has struck with Bluebird Merchant Ventures Ltd, which should leave $10M sought by RMX to build the processing facility. Bulk samples are being collected for testing from each of these high-grade zones and RMX is expecting results on this back soon. RMX is in talks with a Shandong province based toll operator to work with it hand in hand to conduct early mining and ship the ore to its facilities in China where it will be processed and then sold. This work could begin as soon as this year – the DFS is set to be concluded in June and once permitting is in place these high grade outcroppings could be mined. The picture above is of the South West Breccia Resource owned by RMX and it can be found at RMX’s Lobo mining area. The big blue cone contains RMX’s confirmed 221,000 tonnes of ore with head grades of 6.3 g/t Au and 174,000t at 6.8 g/t Au. This is part of a JORC 2012 Indicated and Inferred Resource of 6.19mt at 2.2g/t for 444,000oz Au. This is the low hanging fruit, the stuff that can be mined by RMX first up and processed at toll plants to generate quick cash flow to support the rest of the Batangas Gold Project. Remember, Batangas stands to make $45M in free flow cash over the first five years of mining, so once cash flow is coming in the door this expansion is very doable. The below ground rocks at Batangas are volcanic, so there’s lots of gold pooled at the surface (the purple resources in the picture above) – usually under weathered caps or even jutting out of the ground like at the South West Breccia (SWB). Breccias are gold bearing rocks that literally stick out of the ground – RMX should have a relatively easy time collecting all of that gold up, crushing it and selling it. So the plan is to mine the 221,000t @ 6.3 g/tonne Breccia resource first and then move to the 34,00t Japanese tunnel @ 3 g/tonne Au resource. And when all the low hanging fruit has been plucked, crushed, and sold, exploration drills will go further down. Volcanic activity can also bury big gold resources deeper, and at Lobo, RMX has identified lots of areas that warrant further investigation with a drill bit. And because the operation is being planned as an open cut mine, getting access to these areas could become much easier. Regardless of that blue sky potential, Lobo presents RMX with a clear opportunity to make quick cash from high-grade, easy to mine gold targets that will fund all of its other efforts. In 2014, the team at RMX finished a Scoping Study that found it would take just $15M of capex to bring a 100,000 oz. initial five year of a 10 year mining operation into production at the Batangas Mining Project. With that dollar value to work with, RMX is now half way through the final phase of its development – the Definitive Feasibility Study (DFS) – and all work should be completed by mid-2015. The DFS is to design the open cut mine, processing facility and all the other ways RMX need to spend its projected dollars and cents. The emphasis is on bringing production to the Lobo prospect first. 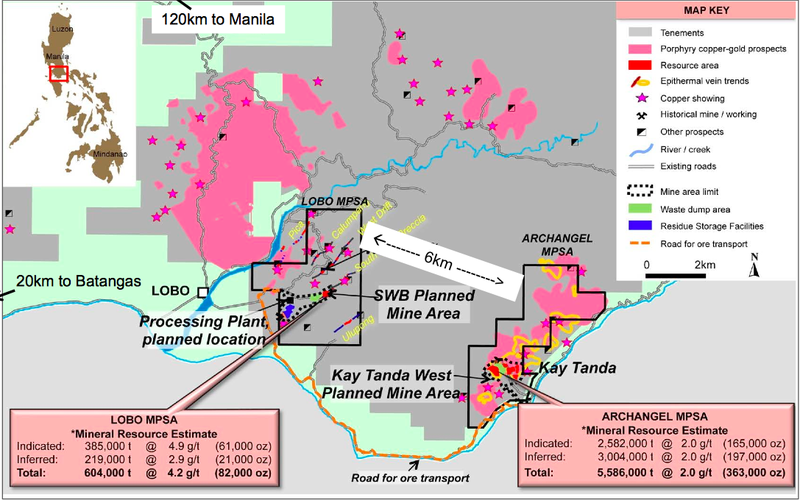 Final mine development applications and environmental permits have been lodged with the Philippines government and are awaiting approval – so we could see RMX enter production very quickly, perhaps this year, and start that quick flow of cash into its coffers soon after. RMX has now won approval from all 10 local townships and are awaiting approval from the local municipality – the locals are on side and RMX runs a sustainability programme to help with local issues. RMX has found a very similar set of circumstances at its Archangel tenement to the east of Lobo – high-grade gold at the surface and lots of potential below. Like we’ve said before, the plan is to get production underway at Lobo, first through external toll processing and then with an onsite modular processing facility that will be built locally. As the free flow cash from gold sales fills RMX’s coffers, it will be able to fund exploration of Lobo and Archangel, developing more drill targets it can then play with a bit. It will also allow it to mine the easy to reach resources at Archangel as required and significantly ramp up its production at Batangas. Lobo will be the testing ground for RMX’s mining and exploration model, and at Archangel it’s the place it could be perfected. 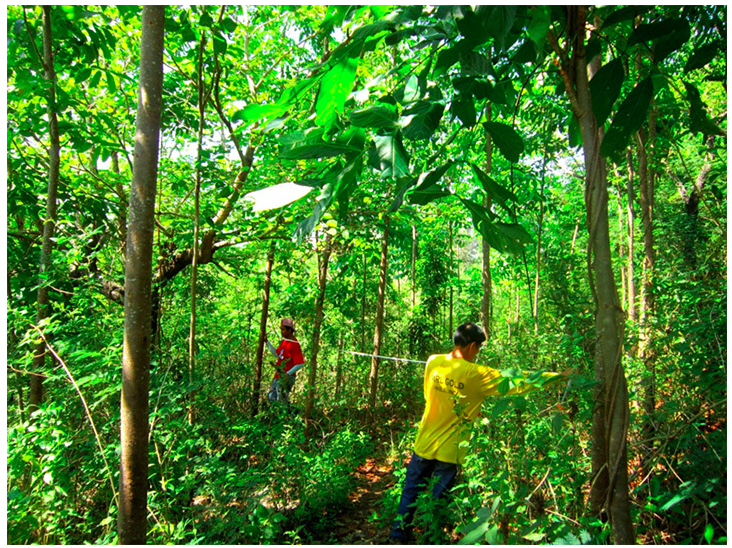 RMX’s Project is in The Philippines – a country classed as a Tiger Cub economy for quite a while. It’s an emerging economy on a similar track to the original Tigers like Hong Kong and Taiwan. 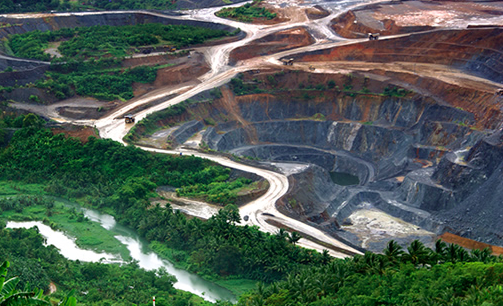 A big driver for economic growth in the Philippines is the mining industry, particularly the gold mining sector. You can find enormous projects on the islands that make up the Philippines, like the Masbate gold mine run by B2Gold. There’s also Medusa Mining that has been mining at their very high grade Co-O Mine since 2007, with seven mining projects underway across the Philippines, including the Bananghilig Deposit where B2Gold is drilling next door at its Tambis Project. In a similar way to RMX, Medusa started small in the Philippines, and has grew over time into the strong gold producer it is today. RMX’s immediate neighbour in the Philippines are ASX listed RTG Mining, a company that has just raised $15M to support the expansion of its projects including the Paracale copper and gold project just up from RMX’s Batangas Gold Project. The wash up from all of this activity is that the Philippines is far from a frontier for mining; it’s a well-established mining nation that welcomes investment and has reliable, predictable permitting processes and bureaucracy. RMX has all the permits it needs either approved or about to be. The challenges are technical, not bureaucratic – and with the DFS well underway and set to be finished by June 2015, RMX is well positioned to begin early mining. Get approvals – then dig and drill! Once all of the mining and environmental hurdles are jumped, and the DFS is done, RMX should be able to attract the additional $10M in financing and start digging up high-grade gold at Lobo. The plan and the figures bear repeating. 100,000 oz. over five years is just for starters, all of it taken from high-grade gold resources close to the surface. At a Project level, that could generate up to $67M in operating cash flow and $45M in free cash flow, which can be used to expand mining throughout the Batangas Gold Project, scooping up more high-grade gold and searching for deeper resources. Remember the inferred and indicated resource is 444,000 ounces – so there is even more cash to be earned from Batangas. The DFS is set to be finished by June and is fully funded through a strategic agreement with Bluebird Merchant Ventures Ltd, who are expected to kick in a further $4.5M for development to get the mining underway. The blue sky of even more confirmed resources is more than enough to peak our interest, but as the year progresses we’ll be looking out for news on when RMX can start digging, processing and drilling. At The Next Small Cap we are impressed with the plan and the potential. From this position, we believe the worst RMX can do is put a high quality gold mine into production and the company is well on its way to realising that.